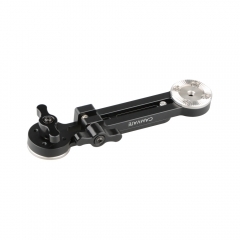 • Camvate Extension Arm is an adjustable rosette arm with NATO safety rail, it could be used on both sides. 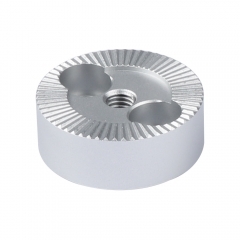 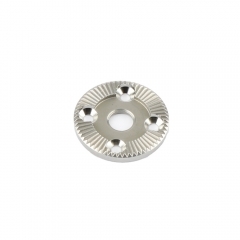 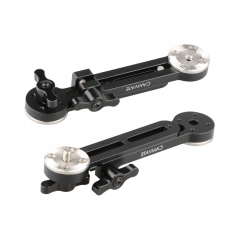 • With ARRI standard rosettes (M6, 31.8 mm diameter) on both ends that provides at most 151mm extension for handgrips or other gears. 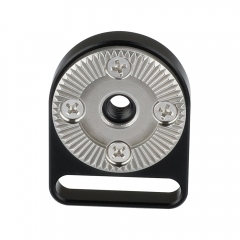 • With NATO rail that allows to adjust the distance back and forth just by quickly tightening or loosening the M6 black thumbscrew. 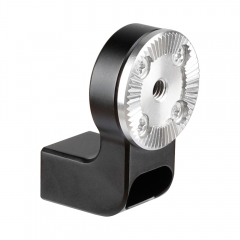 • This extension arm can be modulated at ease to relocate your handle for remote control. 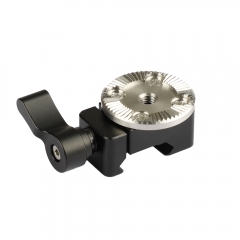 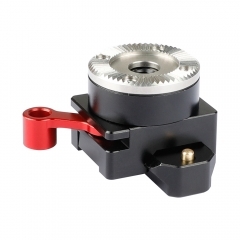 Rosette extension arm with integrated NATO safety rail for ARRI standard rosette devices.